This is the classic novel brought to life in full colour! 'I will honour Christmas in my heart, and try to keep it all the year. I will live in the Past, the Present, and the Future'. 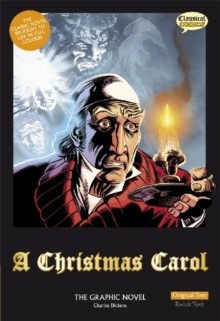 Classical Comics' first Dickens title is probably his best-loved story. Scrooge gets a rude awakening to how his life is, and how it should be. Full of Christmas Spirit(s), this is a book that you'll want to read all year round!